I have been thinking of purchasing a popular 7-in-1 kitchen appliance that has a yogurt making feature, but now that Activia Pure makes an all natural yogurt, maybe I won’t have to anymore (will save me a lot of time not to mention the cost of ingredients). 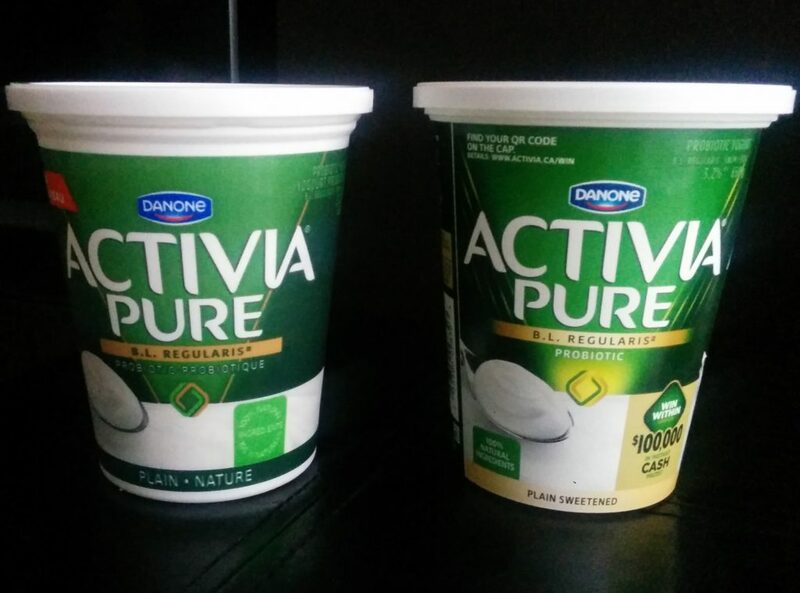 I was lucky enough to receive coupons from Activia to try the new Activia Pure yogurt. I tried both the Plain and Plain Sweetened varieties. 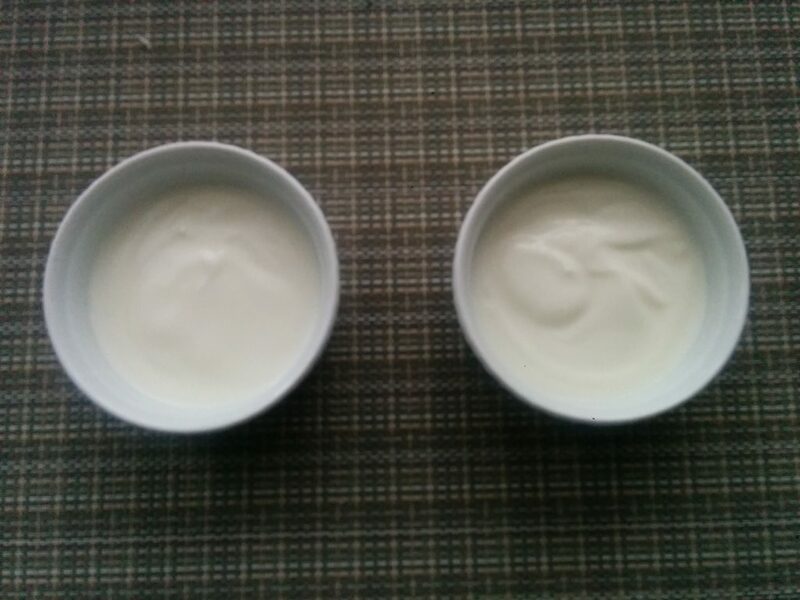 The first thing I noticed about the yogurts is the smooth, thin consistency. They are not as thick as other yogurts I buy but not the runniest either. Perhaps the thinner consistency is because of the lack of added thickeners. 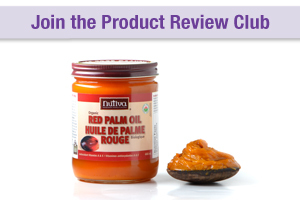 I do like the natural ingredient list and they both have a nice tangy, clean flavour. The Plain Sweetened variety is sweetened with cane sugar which gives it a slight sweetness. It has a tang and a slight acidity from the lemon juice that’s in it. I don’t see a lot of plain sweetened yogurts on the market right now, so at first it threw me off because I was expecting it to be similar to vanilla flavoured yogurt (which is a lot sweeter in comparison). 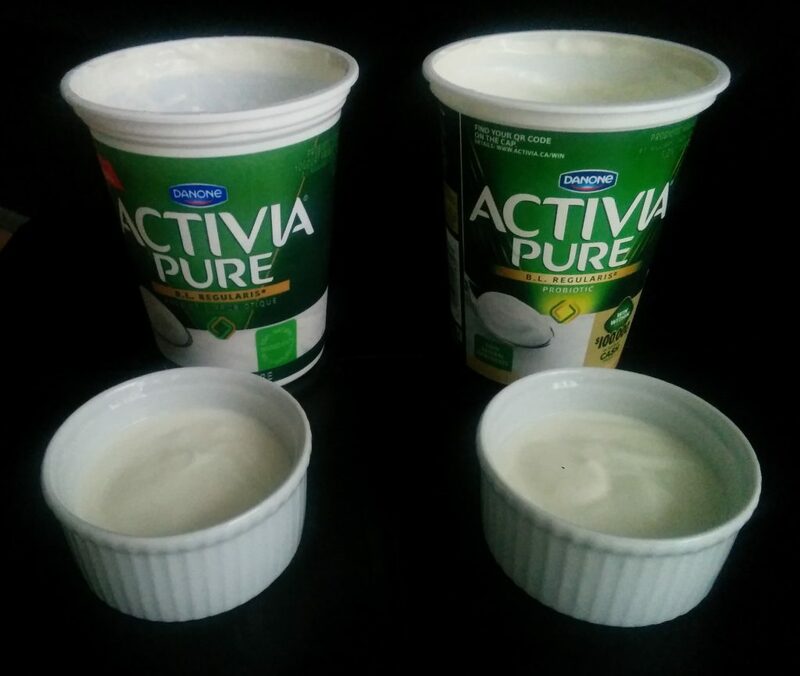 Activia Pure Plain Sweetened yogurt provides a slight sweetness along with a tangy, creamy flavour which I really like. This is a great option for people who want to limit the amount of sugar they consume but find the tanginess of plain yogurt to be too much. The slight sweetness from the cane sugar is enough to take the edge off. Both are good yogurts. I do like the Plain Sweetened variety on its own and would use it as an alternative to vanilla yogurt when making things like muesli or smoothies. It might also lend itself well in baking. I would also have it on its own since I usually sweeten plain yogurt on my own by adding fruit jam to it (I prefer doing this over purchasing fruit flavoured yogurts because I can control the amount of sweetness). But this product is already sweet enough on its own. 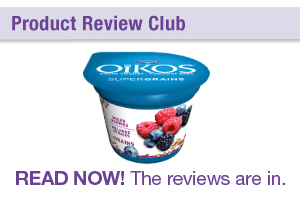 This is definitely a step up from many of the yogurts that are on the market which are filled with thickeners, gelatin and artificial sweeteners. It’s definitely a step in the right direction. Have your tried Activia Pure? What do you think of it? It was nice to have a plain yogurt with just enough sweetness so it wasn’t sour! Less and more simple ingredients is nice. 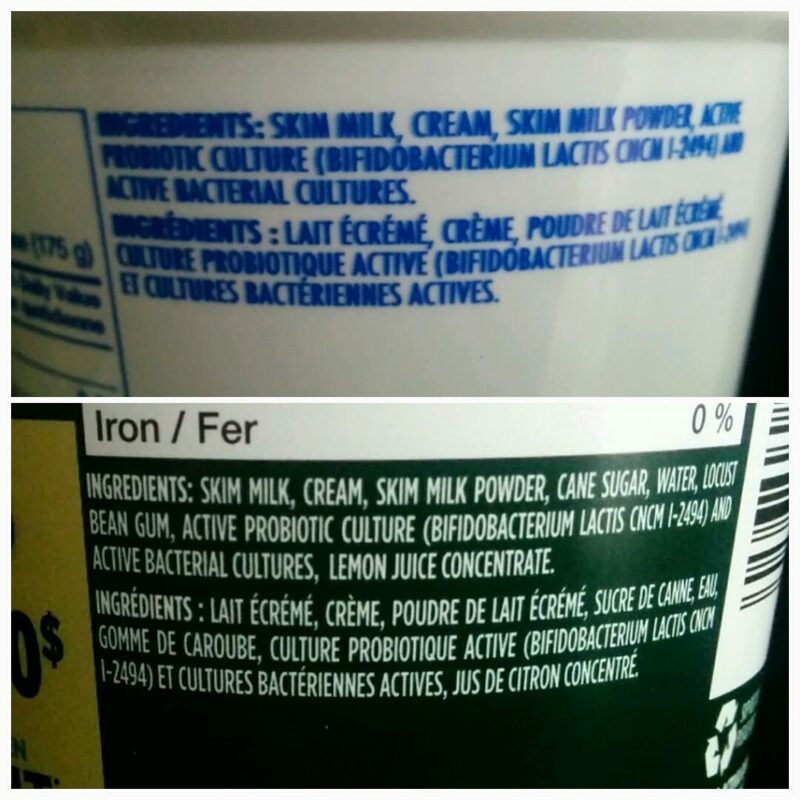 Compared it to Activia vanilla flavour (plain wasn’t available in the regular line where I picked it up…Walmart). Interesting that the fat percent is slightly higher in the Pure than the flavoured and the Pure is not as thick. I would buy this again. I had it on it’s own and also with granola. Yum! Also interesting that the Pure isn’t fortified with vitamin D whereas the vanilla was. Would be nice to have it fortified as well as there aren’t many places to get vitamin D in foods and many people are turning to plant-based beverages, which are not always fortified choices. Next test, see if it passes the test of the 3 and 5 year old (Activia) flavoured yogurt lovers. ;). Thanks Lisa!